AT GATEWAY CHURCH OLD BROOKLYN, we are living to see the good new of Jesus bring life to our city. We are planting a new church in Cleveland’s Old Brooklyn neighborhood. Following Jesus is about receiving new life in him, sharing that life in community with other believers, and bringing His gospel to the world around us. Being part of a Bible-believing, Gospel-loving church is vital to living that out in our lives. Gateway Church Old Brooklyn had it’s first official service as a new church Sunday, January 18th 2015. We gather for worship every Sunday at 10:30am in 4542 Pearl Road Cleveland Ohio 44144. We would love for you to come worship with us! Pastor Tony Loseto and his wife Beth invite you to join in the planting of a new church in the Old Brooklyn community. The Bible Is The Inspired Word of God: The Old and New Testament are inspired by God, the only written revelation from God to man. The Bible is infallible and the authoritative word of God. It is the rule of faith and conduct for mankind. Scripture is sufficient to tell us everything we need to know for life and godliness. (II Timothy 3:15-17, I Thessalonians 2:13 & Peter 1:21). There Is One True God: God is one (Deuteronomy 6:4). God is eternally self-existent (Jn. 8:54-59). God is omniscient, omnipresent, and omnipotent. He is the creator of the heavens and the earth (Genesis 1&2). While God is one, He has revealed Himself in three persons: Father, Son, and Holy Spirit (Matthew 28:19). Jesus Christ Is The Son Of God: Jesus Christ is the second person of the Trinity, the eternal Son of God. The Scripture declares his virgin birth (Matthew 1:18-23); His sinless life (Hebrews 7:26 & I Peter 2:22 & I John 3:4,5); His miracles (Acts 2:22 & 10:37-38); His substitutionary death on the cross as the sacrifice for our sins that satisfied the wrath of God (II Corinthians 5:21 & I Peter 2:24 & I Corinthians 15:4); His bodily resurrection from the dead (Matthew 28:1-6 & I Corinthians 15:4); His exaltation to the right hand of God (Acts 1:9,11 & Philippians 2:9-11). The Fall Of Man: Man was created in the image of God (Genesis 2:26). However, by a voluntary act of the will, Adam and Eve disobeyed God (Genesis 3:6). That first sin had several repercussions. Man was removed from the garden of Eden and the presence of God (Genesis 3:23), a curse was pronounced (Genesis 3:14-19), the process of physical death began (Genesis 2:17), and man died spiritually (Romans 5:12-19). Sin separated humankind from God (Ephesians 2:11-18) and left man in a fallen or sinful condition (Romans 3:23). The Salvation Of Man: The only means of salvation is Jesus Christ (Acts 4:12 & John 14:6). He died on the cross to pay the penalty of our sins (I Peter 2:24). He offers each of us a pardon for our sins (Hebrews 9:26) and wants us to become children of God (John 1:12). The Bible is clear that we are saved by God’s grace alone through faith alone in Jesus Christ alone (Ephesians 2:8-9). When we turn from sin and place our faith in Christ, our spiritual reality is changed by God. We become the Temple of the Holy Spirit (I Cor. 6:19). Our names are written in the Lamb’s Book of Life (Rev. 3:5). We become citizens of heaven (Phil. 3:20-21). We are given eternal life (John 3:16). We are adopted and become children of God (Gal. 4:4-7). Our sins are forgiven and forgotten (Heb. 8:12). We are credited with the righteousness of Christ (Rom. 4:4-5). We are born-again (John 3:3). God takes ownership of us (I Cor. 6:20). We receive an eternal inheritance (Ephesians 1:13-14 & I Peter 1:3-5). For further explanation of our church’s vision, please refer to the GATEWAY OLD BROOKLYN CHURCH COVENANT AND CONSTITUTION. Gateway Church Old Brooklyn is a Southern Baptist church plant in partnership with the Send Network of the North American Mission Board. Tony and his wife, Beth, love living in Old Brooklyn. Tony graduated from Boyce College in Louisville, KY but is a born and raised Cleveland native. 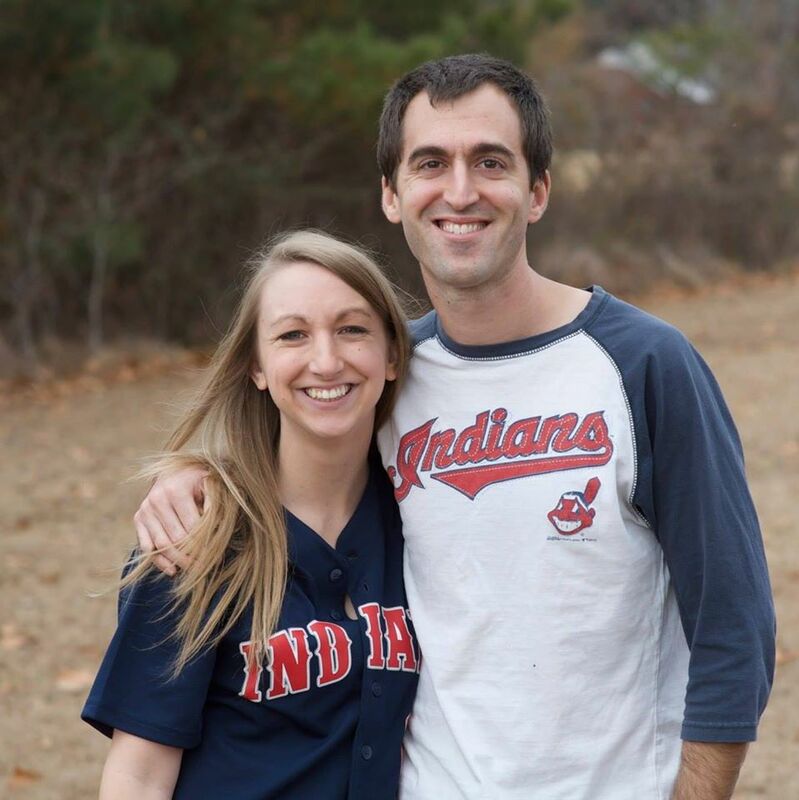 He returned to Cleveland in 2013 to begin the church planting work and is excited for the planting of a new church in Old Brooklyn. He has a heart for seeing peoples lives changed by the good news of Jesus Christ. His favorite sports teams are the Cleveland Browns and the Cleveland Indians.